Remove cover from yogurt. 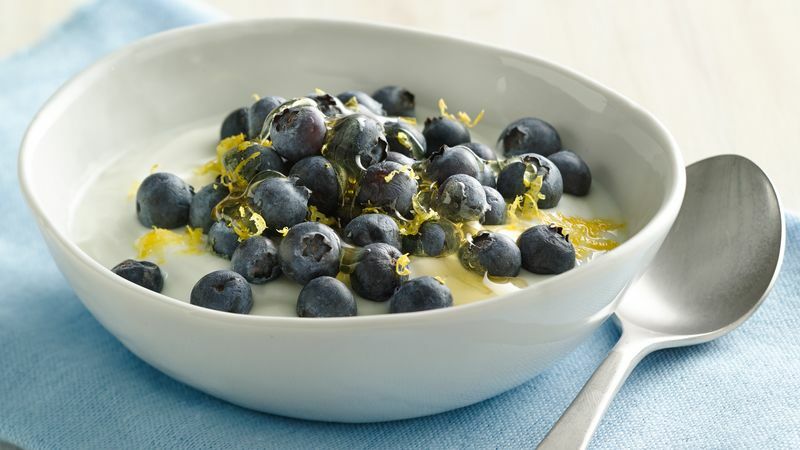 Top yogurt with blueberries, lemon peel and honey. Serve immediately. Spoon yogurt into a bowl if desired before topping.